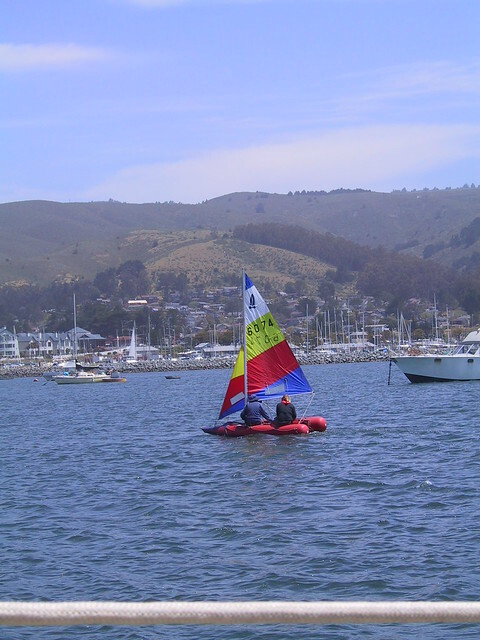 I have always had a relatively simple approach to sailing. Maybe that is because I haven't evolved as quickly as has the hardware for sailing. Even so, simple for me means an engine, hot water, a freezer (if not a fridge), GPS, HF and VHF radio, Radar, electronic depth sounder, an electric windlass and an a wind vane self steering. I keep my sextant (although these days mainly for watching solar eclipses) and I have a computer, and a Pur 35 watermaker. I want an outboard for my dinghy and I am expecting to buy an AIS soon. Okay, reading through that,it is obvious I have evolved. Once, not so long ago, I had an analogue depth sounder, (remember the spinning disk), a paddle wheel through hull speed log, an 8121 Codan, and a heat exchanger. I remember buying my first ever GPS (Magellan at $4000). But, there are many other people sailing with the bare bones and loving it. Others need wireless connectivity between the mast head, the nav table, the helm and the forward looking sonar so that everything can be displayed on one monitor. Friends have a beautiful boat which is state of the art; they run a diesel all of the time when they are sailing and they use power for virtually everything that land dwellers use power for at home. Where is your level of comfort and affordability? What is truly necessary and what is luxury. What is the one yacht related 'goodie' that you don't have but wished you did. And for those who have been cruising for decades, what are the lessons you have learned about complex vs simplicity. What is your annual budgetry allowance? (Mine is $20k). Being an electronics tech I love my gadgets, and yet I see cruising as a way to get free of the complications of life. This gives me something of a dilemma. On the one hand I'd love to have all-singing all-dancing whizgigs aboard but my practical nature tells me to simplify. One lesson I learned when I had an interest in aviation is that there's no place for unreliable systems on an aircraft. Unless you're content to simply fly around the patch, a lot of radio and navigation gear is required and it all has to work. Yachting is almost as serious once you leave sight of land. This is not the time to discover that you should have thrown a handheld GPS or box of charts aboard. In a car when something goes wrong you can simply walk to the next town for help, or call the auto club for assistance. On the oggin you're totally responsible for making it work. 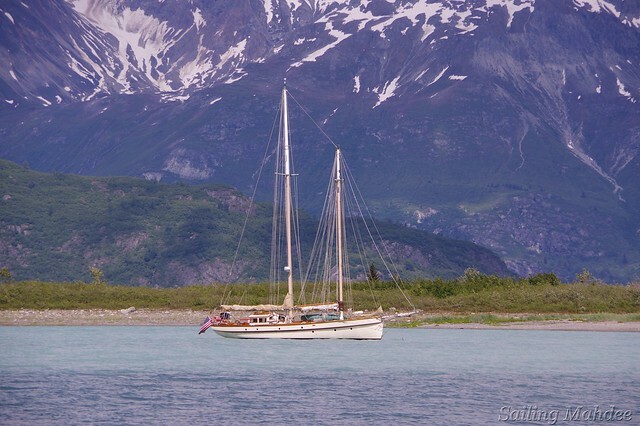 If you have no qualms about sailing everywhere then you can forego an engine entirely. But the sails better be in good shape, as must your sailing skills. Likewise, a bucket for the head is enough providing you're not sqeamish about such things. A woman aboard might change priorities on this matter, but for me it would be enough. Every system that requires complexity will cost much more than the basics, in terms of initial cost and maintenance. It will use up more valuable space, and time in keeping it working. An engine might seem a great idea, but if you only use it to enter moorings then a few days' practicing how to come to a stop might be a lot cheaper. Engines require a battery, tank, fuel, cleaning, repairs, spare parts. They smell, they leak oil, they grow fungus in the tank. My approach will be to decide what I would consider the minimum systems, then after fitting those I'll go coastal cruising for a while. If there are any glaring omissions they can be rectified before taking too much of a leap of faith. Regardless that our ancestors didn't require radios or AIS or radar, things have changed. There are regulations to meet, and there are a lot more craft out there. Some of them are large and don't have anyone on watch. Some don't even carry lights at night. There are also pirates and poor weather to contend with. So these need to be taken into account when considering one's comfort level in terms of equipment. I'd also like to point out that our ancestors traveled in very large ships and had many hands aboard, and their captains had vast sailing experience. None of which is true for most cruisers. There is also an ethical consideration to not become a problem to other cruisers by sponging or asking for their help unless in dire need. So no allowance has been made for the kindness of others, scrounged materials or sharp trading. As you can see, there's a lot to consider in the above list in order to meet that budget. Part of the success in meeting it will lie in the preparation, part in the places traveled, and part in the skills and ingenuity required to circumvent the need to hire others to do what I should be able to do myself. A realistic budget for food cooked aboard is $150/month. That would include beans, rice, flour, condiments, some meat, fish caught along the way, fresh fruit and vegetables, canned food, water (which must be bought in some places) and the occasional treat. One must know how to cook, which for many guys is a chore in itself. Hey Rob, you be da man. Electronic tech, eh? Guess what, but on my Linnupesa some of the electronics is older than dirt... but still soldiers on and I can fix it. Unlike the $5000 whizbang screen that gave out in the middle of the Gulf one dark and stormy night, deciding to run in circles. My Roberts autopilot is like 25 years young but so far has been the most reliable system aboard too. Much of the newer stuff.. they just don't make 'em like they used to. A folding bicycle aboard would allow travel up to 10km from the yacht easily and within a reasonable period in one day, even on poor roads and tracks. It also helps getting to stores for fuel and food supplies. The further one can go, the more likely one is to find bargains and cheap areas. Along the way you get to see how the locals live, not just right at the shoreline but further inland. If there are any spectacular sights that require an entry fee, such as you'd find in Europe, then these must be budgeted for on the basis of your own interest. But then I don't see the Med or major European cities as areas I'd consider visiting on this kind of budget, for this and many other reasons. The cruiser on a tight budget has to anchor off, not use town moorings. The exception is where you can stay a few hours for free to fill up on fuel and water. 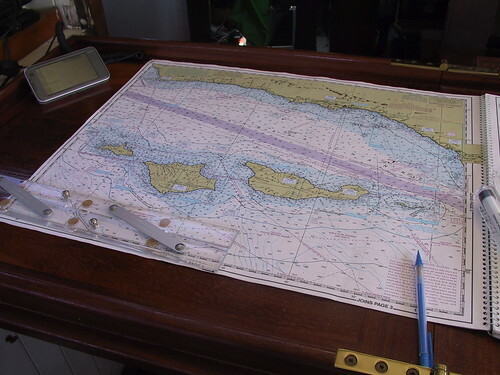 Some planning has to be put into ensuring that the yacht is secure in her mooring, that the area isn't known for theft and that the dinghy will be there when you return. In stormy areas, be prepared to find shelter in a river rather than relying on marinas. The type of yacht determines how effective this might be, with catamarans and bilge keelers having an advantage over full keels. And it stands to reason that you shouldn't stay in a hurricane zone unless it's unavoidable. Saint Martin - Clearance 5 Euro in, 5 Euro out. No bridge or mooring fees. As you can see, staying on the French side of the island is much cheaper. A bit of route planning before you go can save quite a lot of money. Yeah, with electronics older stuff is simple and reliable. I just bought a 130W SSB radio made in the 70's that only has 10 channels. It cost me $90 shipped and will outlast me by years, I'm sure. Crystal controlled, through-hole parts. Love it. The less stuff you have aboard, the less maintenance. This is just axiomatic, if it isn't there it can't break. I'd budget $100/month for this. 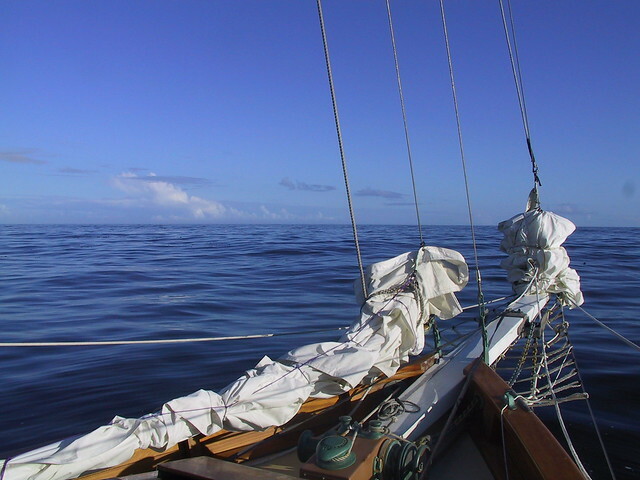 With simple rigging such as a cutter or sloop, limiting engine use (if there is one) to the bare minimum, rowing or sailing the dinghy rather than using an outboard, tiller steering, no refrigeration, paper charts and virtually no electronics this is achievable. Every single piece of gear added brings additional maintenance issues. If you're familiar with electronics and computers and want an SSB radio, a laptop for navigation, an electronic autopilot, internet capability and TV then something is going to break, usually at the worst possible time. A lightning strike or a rollover could take out all these systems at once. That means you not only need spare parts but redundant systems, i.e. TWO OF EVERYTHING. That's the way I'm shopping right now. So, what's the cost of that little luxury item after all? So if you don't want to be running a generator or engine to charge batteries, you'll need adequate solar or wind power to charge them instead. Motors cost money to run and repair, use them sparsely. Mechanical pumps, solar water heating, simple cooking gear and gravity feed systems all combine to make maintenance simpler and cheaper. Know your basic physics and use it to advantage. The one huge avoidable energy hog is any sort of refrigeration system. Once you enter that door, there be daemons. I'm the son of a refrigeration engineer and have two brothers in the business, so this is something I do know about intimately, and yet I still wouldn't have one aboard a yacht of this size on this budget. If your wife insists it's necessary, either divorce her or resign yourself to living on land. The most efficient units are around $1,000 and would still double the battery power requirements immediately. A kilogram of refrigerant gas now costs $180 here in "first world" Australia, and you'd need to carry pressure gauges, vacuum pump, spare gas, copper tubing and brazing equipment. Just forget it. Having a set of spare parts aboard is the best investment you can make, better than real estate rented back home. It allows you to get the repair done and keep moving, and affords you the luxury of buying stuff as it becomes available at reasonable prices. Include in your spares a sail repair kit and some hull materials. If it's fibreglass then have a repair kit for that. If it's ferro then carry a bag of cement, some sand, some epoxy and a bottle of PVA glue. Plan ahead. You can build your own water maker cheaply enough but they're a high maintenance and power hungry item as well. Better to invest in bigger tanks and/or collect rainwater. I don't care who thinks such things are essential, they're not going to fit in at this cost level. Consider also that in many harbours the water isn't fit to drink even after treatment to remove salt. WOW you are guys are great!!! I'm a girl BUT I had no problem using a bucket for a week when we sailed in Belize on a 100yr old boat that only had a depth finder and a radio. The Captain Gaston only motored when passing through narrow openings in/out of the reef, (Brit also a captain herself) would balance at the very front of boat & yell back directions to him. They had charts & a sexton. It was quite impressive & I felt very confident in their abilities. Refrigeration was a block of ice. Black water bag hung on deck to shower. They live aboard 8mos a yr. Though I'm not nearly as experienced as you all are on the sea, simplicity to me means, food to eat, water to drink, & being safe. As for luxuries, sure a shower is nice, but i have no problem with a bowl of water & a washrag!! I would gladly forgo any luxuries for the opportunity to experience the tranquility, adventure, excitement, & freedom of living/working aboard. Hell if $20k is what you can manage on a year (including homemade ice cream??? ), I'm all for pitching in some of costs, working hard, AND I have the back bone to acccomplish any task aassigned to me. By the way I checked out another site to see a boat. You guys on cruiserlog are the REAL thing!!! Many of em listed "female crew" only & sounded kinda creepy. But I read a great review about sailing with IVO on linnupesa!! I have looked at your list, (below), of things you include in your budget of $500 a month and for the life of me I can't see how it would be possible to live within this budget. I don't feel it would be feasible in Australia and you would be living below the poverty line. I have been living aboard for some years now on the north Queensland Coast and my budget is about double yours and I find at times I blow the budget out the window. - Licences including passport, ship registration and radio"""
a lot of good stuff is getting bandied about but I think we are talking to and with only a subset of the sailing community... el cheapos. That $500 a month figure is going to be really tough . I'd also say 1-2k is a more practical one, and quite comparable to what you'd spend on land anyway, as minimum. Think taxes, gas, maintenance etc. The biggies are largely the items of choice, like the eating out and taking mooring balls etc instead of anchoring. Though I have a very fine electric anchor winch I usually prefer to hoist by hand and savvy, just to see that I can still do it. The 60lb CQR with 20' of chain before the rode is a bit of a grunt to get up, but it is doable. As to things breaking, the older stuff is cheap on ebay and elsewhere, so it is quite feasible to keep a few spare units. The nail was hit right on the head when "carry spares" was mentioned. Don't try to get them "when you need them". Same goes for impellers etc. 3-5 pieces of each, filters as well. Yes, it means planning ahead and some mental agility doing repairs. I replaced a furler bearing at the masthead, without removing the sail and stay even, when I was told it was impossible and that no spares were available either. It meant some thought and building a special little jig to unload the stay without it falling overboard, but it could be and was done while at anchor. Don't eat the dealer-soup as hot as it gets cooked. Sure, if you are going to toss your old furler and replace it with a new one it will set you back several grand, more if a yard does the work. But, if it's only a bad bearing, cost of $15??? You are nuts to replace the whole thing but many people do and sure, their cruising budgets will run to many boat-bucks per year just for this kind of thing. Leaky pump bearings: as an each cost is way under $10 I ordered a dozen. A new pump would be 100's or 500 from the dealer. Replacing it is quite quick and simple. Do plan for a workshop area on your boat and some boat-girth to carry it all. The choice of boat is critical: do not under-size a cruising boat as you will need to carry a lot of gear. You are on an expedition, not a daysail with SeaTow a phone call away. That often-touted adage about cost going up to the square of the boat size yadi-yada is simply not true... at least in my experience. You still have one motor, one prop, one fridge etc. Same for the nav equipment. The item sizes may be larger but you'll need similar tools and more of oils etc. But it's the same number of systems and a leak in a 1/2" pipe or in a 1" pipe is still a leak. Fixing the small one or large one is really the same cost. Initially, as built, the large boat will cost exponentially more, but once going the delta is not that severe. The extra space to put your bike and other stuff is well worth it. The handling you learn, do not be intimidated by the truck. Try to not buy new. This has to be your tenet as well. Forget Wastemarine.. top dollars for what you can get elsewhere at a fraction of the cost. The idea that a bit of grey in lines makes them "ready to replace" is anathema to me too. The tarred and parcelled hemp stays of old sailing vessels would stay up for dozens of years. Dacron should be not that far behind even if the covering looks a bit worn. Oversize lines if necessary and enjoy an extra safety margin but surely not all needs to be spanking new on a sailboat. The captain sure ain't. Let's see, Auzzie...simple. Hummm.... I'm replying directly to your post since the issue and question is “simple” not necessarily “lowest cost.” These two terms are NOT synonymous even though many people who are trying to cruise inexpensively will substitute the term simple when they really mean...cheap. When choosing to live simply and cruise in an uncomplicated manner then we move on to the question of what is necessary and what is luxury? People's opinions on this are not objective but they are largely colored by one's needs, wants, and mostly one's own finances. 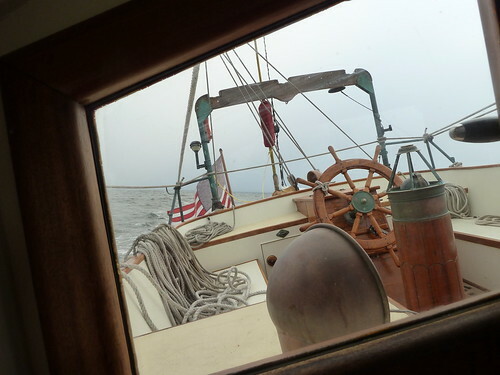 From your list of what you have aboard (or will have shortly), there are a few things we don't have because we like life more simple than most folks or the item itself detracts from the aesthetic of living aboard and cruising our 1930's era schooner. I've put the letter A after each thing which we find necessary/useful and the letter L next to those items that we consider a luxury but we may have them aboard. I've placed a N after those things which we don't have but we would place aboard if we were leaving our home country (and easy access to boat parts) for extended cruising. We do have an engine, A (for a sailboat of more than about 8 ton gross displacement and ours is about 30T) We've seen a sailboat NOT be able to sail off anchor and end up on a lee shore--complete loss of boat. We've had a dear friend lose his boat with no engine because it started leaking and he had no way to charge the battery/bilge pump during the night (he had solar) and the boat slowly sank over a 4 day period while he was trying to get to port. We don't have hot water or even a plumbed shower, When I get tired of putting tea kettle water into the solar shower mid-winter, maybe we'll re-evaluate. Probably not since we don't have pressure fresh water. We have a solar shower bag, A, even if you've got the plumbed shower! We don't have a freezer L or fridge L but we do have a small cooler A and a tiny icemaker L that we can use IF needed but which gets used only when we're on shore power or when we're in the mood to provide ice to a party in the anchorage. We've gone for as much as 8 months without turning it on. Not enough parties huh? We use our bilge to keep things cool. Radar N— no we don't yet have it and we've been coastal cruising in fog for more than 2 years. AIS helps on that matter. We'll install radar before leaving the USA for extended cruising simply for the ability to see weather systems coming upon us. Watermaker L—no don't have it but might install it at some point depending on where we're headed. Outboard on dingy L —no don't have it but do have a sail kit and use it. Aside—outboard would be a must for any boat cruising remotely if the boat is large enough to be hard to kedge off or that might need to be tended into a marina slip. Meaning we WILL have an outboard for our boat when we get into more remote cruising. AIS A —receiver is built into the VHF radio and with low cost of AIS in the radio there's no reason not to have it. Pressure saltwater washdown hose for cleaning the anchor. A. This is a must for anyone living at anchor (with muddy holding) and moving all the time--keeps the foredeck and everything else clean. It greatly simplifies our lives. Direct discharge marine toilet for offshore use L Simplifies things w/no holding tank. I say A on the toilet because having a toilet simplifies life so very much. The composting toilet (w/separator) as we have takes the same space as a 5 gallon bucket (or regular marine head) and is much SIMPLER to use and legally dispose of the waste no matter where you are. I'm a woman and I don't get why guys feel they have to throw out the idea that it's the women who need a toilet--I've used plenty of buckets but they're not the safest way to do your business if seas are rough on a passage. Therefore, not really simple if you end up with a broken bone because you were trying to use a bucket as a toilet. Nor is it always simple to legally rid oneself of the waste in a bucket while in a no discharge zone/ in port. We do have some things on the boat that only make sense on a larger vessel (e.g. start thinking about it if the boat is 25 tons or more) because the vessel has different needs (e.g. tending into a slip as discussed above) or enough space for some “extra” things to be aboard which make life very nice—and sometimes simpler. Also--the life aboard and cruising is simpler in a boat large enough to carry extra water, food, tools, and things to be more self sufficient. That's probably a boat in the 33 ft or larger size range. FLS (Forward Looking Sonar) L, Yep we've got it, largely because we could afford it and plan to be sailing high latitudes in North America where things aren't always as they are charted to be. Necessary, no. Nice, yes. Washer/dryer L, and oh what a wonderful luxury it is. It's a single unit that both washes and drys the laundry w/o removing it from the unit. It really simplifies our lives aboard because we don't have to haul laundry anywhere. We can do laundry while underway. No need to waste time in port doing laundry. Only makes sense if you've got room for it though. (L) Onboard air compressor and air tools as well as a hookah set up for diving on the anchor or cleaning the hull. (L) Good AC circuits as well as the boat's DC system. High quality isolation transformer and system for the shore power. (L) Diesel gen-set in addition to the boat's main engine. Nice to have and more cost efficient for charging electrical systems if your boat is large enough to have an engine over about 60 HP. Does it simplify things? No, because you can use a high output alternator on the main engine. But—it reduces the cost of charging onboard systems. We didn't buy ours, it came with the boat though. (A) Honda EU2000 genset. Yep, its on my necessity list. Why? Easy, cheap way to charge boat systems and to power the onboard air compressor while diving with hookah. Second reason—easy way to have a high capacity 120VAC bilge pump for emergency use. Our EU2000 and 120VAC bilge pump was used by us to help keep a boat in an anchorage with us afloat for 12 hours while repairs were done. The boat would have sunk without it. Solar panels N They don't fit the aesthetic of our boat but we'll find a way to have removable ones for use as needed. Wind turbine N same as above. We have a "Tank Tender" which is the most maintenance free straightforward way we've found to monitor liquid levels in any sort of tank and even the level of water in the bilges. Simple in that it uses a puff of air and you've got the height of water (or fuel) on the gage. Other things-- Manual winches which are easy to maintain. Sufficient blocks to be used in place of extra winches. Easy to maintain standing and running rigging system(s). Hanked on headsails or removable furlers of the type which use to use wire-luff (but now may be synthetic). Easy to splice running rigging. Easily understood, used, and maintained reefing system(s) as well as a hull which is easy to deal with in whatever type of weather or climate you expect to sail in. Easy to install, remove, and stow away lifelines, breastlines, jacklines, and other safety systems. A well maintained engine—if you don't know how well maintained, rebuild it before setting off for your travels. An easy to repair engine system (e.g. can you get access to it to do all maintenance? Should you re-plumb with oil bypass filter to ease maintenance? Can the transmission be removed and rebuilt w/o removing the entire engine? Plain and simple non-feathering prop. This list goes on and on and on, but you get the point. We also choose to do several things which aren't necessarily simple but are traditional and provide the aesthetic that we want aboard our traditional schooner. For example, we have a taft rail log (Walker Log) which can be used along with a sextant for navigation. We also take (lead line) soundings for grins, enjoy kerosene lanterns and a wood burning stove. “Simple” aboard a cruising boat isn't necessarily inexpensive nor is it necessarily always the thing which initially SEEMS simple. BoBeep... information overload here but it'a all good. Did you ever need to or find a way to fix your Tank Tender? I had some air leakage and the 4 or 5 pistons didn't seal properly, so I drilled out the rear ends to replace the rubber sealing rings. Locating the right sealing rings was a bear but now the issue is sealing it all back up, hopefully without plastic glue. This will then make any future repair a snap. Plan B is to reduce the system to a single pump assembly, without using the selectomatic feature. It would be very simple, plug and play. The only critical part really is the gauge and to reliably achieve zero leakage at each use. Did you find a way to fix your Tank Tender? I had some leakage and the 4 or 5 pistons didn't seal properly, so I drilled out the rear ends to replace the rubber sealing rings. Locating the right sealing rings was a bear but now the issue is sealing it all back up, hopefully without plastic glue. This will make any future repair a snap. Plan B is to make a single pump assembly, without using the selectomatic feature. It would be very simple, plug and play. The only critical part is the gauge and to reliably achieve zero leakage at each use. Hey there, we've not had a failure of the tank tender--perhaps that was somebody else? We did have one of the sensors (that you put at the top of each tank) never work--and I don't recall if David contacted the mfr or if he fixed it or...if it is sitting somewhere on the boat. We have the 10 unit one and don't use all the senders...I'll have to ask him but can't right now. The sailing (no motor) dingy (a Tinker) going from the anchorage into town.